Just wanted to show my nails of the week. For this week, I have paired NYC In a minute quick dry nail polish in "greenwich village" with Inglot crackle 216 (also shown here). The nail colour was a gift from my friend, she had the same shade from another brand. As neons are in this season, I was only to glad to receive it. 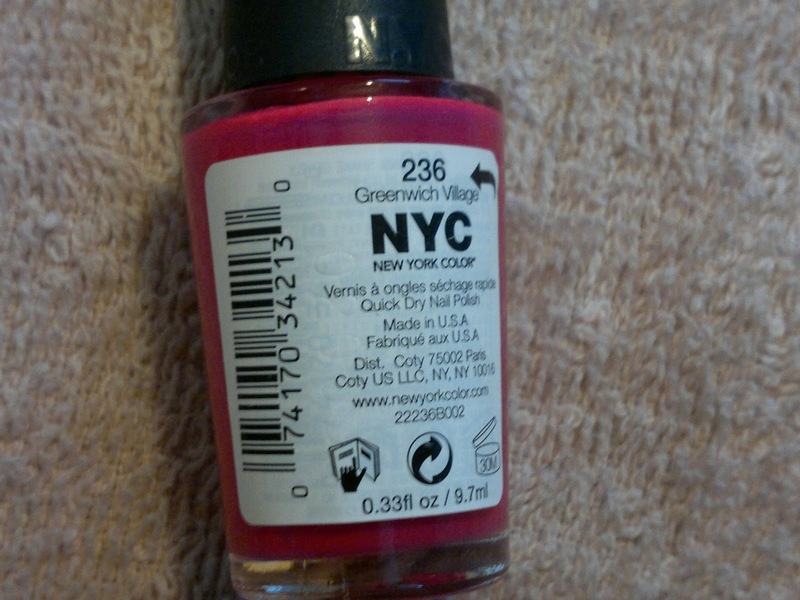 From the NYC website, I found that these nail paints retail for $1.99 for 9.7 ml of the product. Sadly, these do not retail in India. You will have to shop online for these or ask your relatives living abroad. 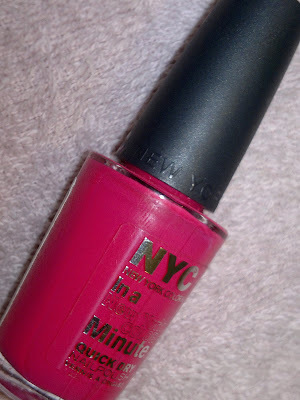 The nail paint packaging is quiet good, and the cap has a rubberised finish which gives a good grip. 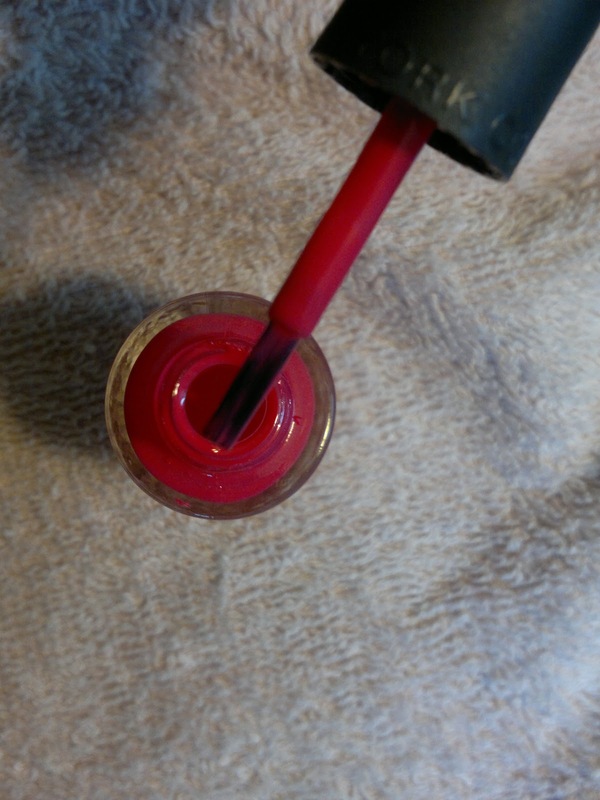 The nail paint brush is also of a nice quality and is quiet long. 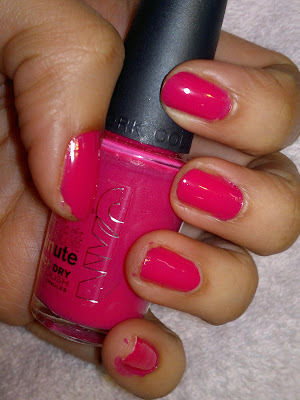 The nail paint does live up to its claim of quick drying and I took just five minutes to finish application on my hands. 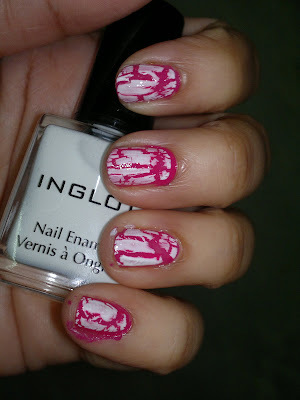 This is how the nail paint looks with inglot crackle (also shown here). Product rating: A, I would love to try more colours from this range, but sadly it is available only online and the shipping charges prevent me from ordering stuff online. Personally, I prefer the crackled look more, what do you guys think? Do share in your thoughts in the comments section below.